NEW YORK—An incomprehensible hate crime can leave us emotionally paralyzed. In the aftermath of a tragedy, a big “Why?” can remain hovering indefinitely or it can transform into something that gives us the courage to move on with our lives. The mass shooting during a bible study class at the Emanuel African Methodist Episcopal Church (Mother Emanuel) in Charleston, South Carolina, on June 17, 2015, left many in shock and in deep grief. Just two days after, the loved ones of the nine people killed gave a powerful message of forgiveness at the arraignment, creating a ripple effect throughout the nation. Victoria and Robert Sirota felt that ripple very strongly and decided to respond. They believe their job, as artists, is to create music that sensitizes. When beautifully performed, it can help people transition from grief to peace in a most sublime way. When something is truly inspired and positive, something happens in the music that is beyond what we humans beings actually create. 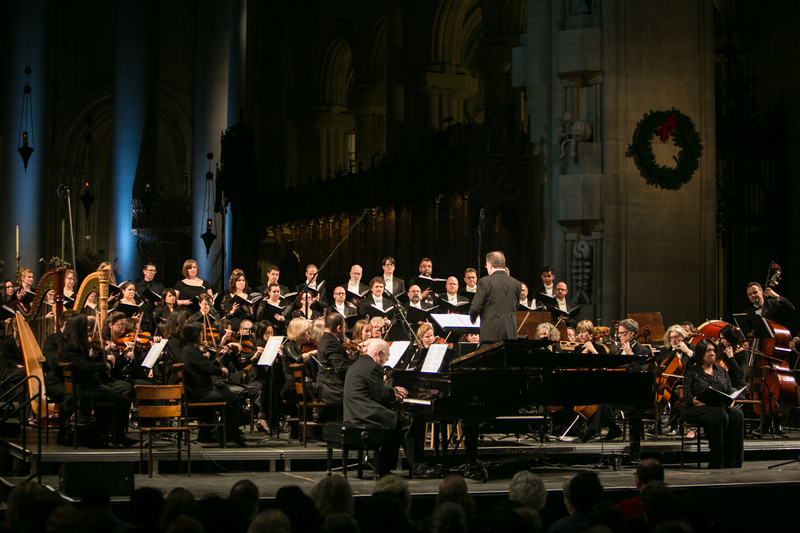 The Sirotas were asked to create a piece of music in honor of the victims and their families, which was performed at “The New Year’s Eve Concert for Peace” at The Cathedral Church of Saint John the Divine in New York. It was not an easy request to fulfill, even as the couple sees it as their life’s work to help “turn the horror of the world into a more loving place,” as Victoria expressed it. Victoria is an organist, author, librettist, and the canon pastor and vicar of the Congregation of St. John the Divine. 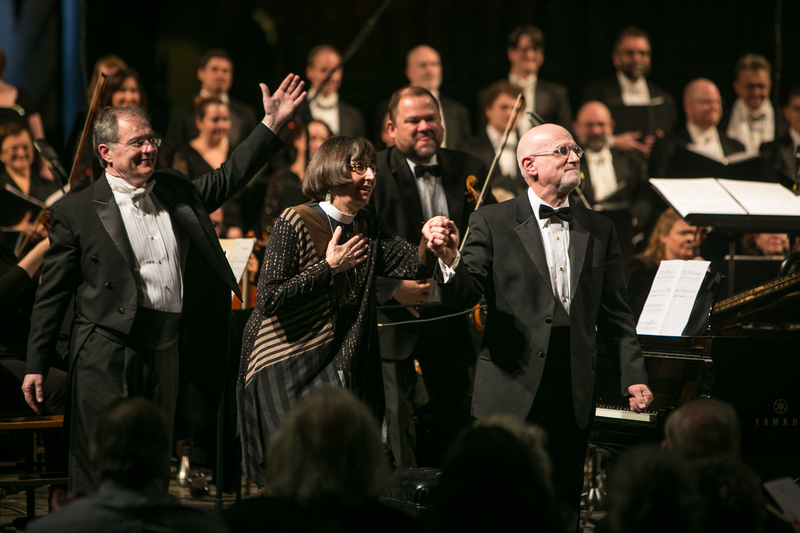 Her husband, Robert is a distinguished composer and the former director of several music schools over a 30-year career, including NYU Steinhardt, Manhattan School of Music, and The Peabody Conservatory. The Sirotas have created many pieces of music together. Generally, Robert writes the music and Victoria the text or she plays the organ for his compositions. “When you put the two of us together, it’s one fairly good creative person,” Robert said. Robert and Victoria have been together for 49 years. The deep connection and love between them lit up the room in their home on the grounds of St. John the Divine, even on a gray, rainy day a week before the New Year’s Eve concert. They speak in harmony, seamlessly following each other’s phrases. 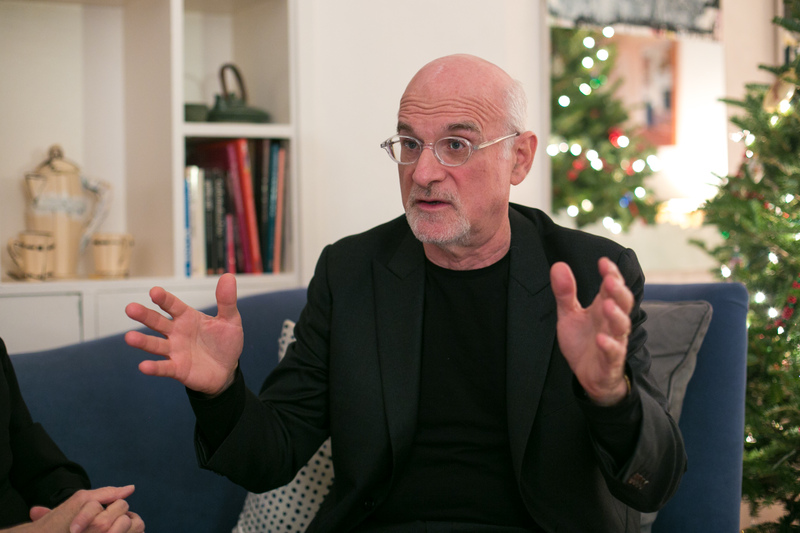 “All the creative stuff that we do … is very much informed by this relationship. And that’s really important. I don’t write anything without bouncing it off of her,” Robert said gesturing back and forth between himself and his wife. “It’s sort of seeing in each other—which we saw very early on—the best of each other,” Victoria added. Perhaps it’s their strong bond and commitment that gives them a foundation for creating music with a purpose. “The truth is, when it’s really hitting on all eight cylinders, it’s a pretty amazing synergy,” Robert said about their relationship and their creative process. 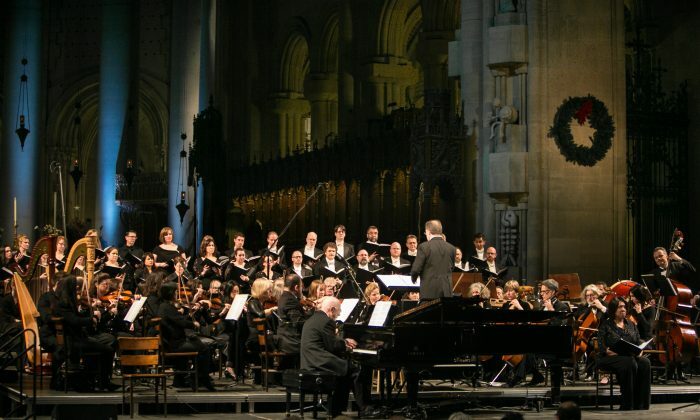 When the music director of St. John the Divine, Kent Tritle, asked the Sirotas to write the piece for the Peace Concert, they were both initially excited about it. But then when Victoria started pulling up the newspaper articles about the mass shooting and tried to come up with a narrative, she felt it was too horrible and grisly. “We thought about it and then we thought, ‘You know what, we are not doing this. '” They wondered, “How do we do this without exploiting the situation?” Robert said. “And to have respect for the history of that strong group of people,” Victoria added. Mother Emanuel was the first African-American church in the South built in 1816. It was burned to the ground as a suspected meeting place for planning a slave rebellion. The church went underground several times and then it was built again in 1865 at the end of the Civil War. 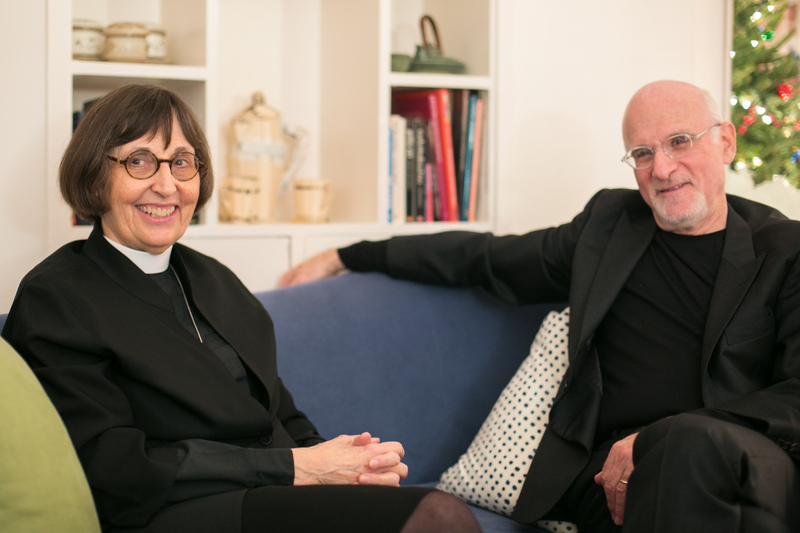 “The people are the church not the building,” Victoria said. Robert said he admired their fortitude. “This latest abomination is nothing new for them. They have been attacked and murdered all the way through and they never, never give up, they get up again,” he said. Victoria felt that the victims’ families’ words of forgiveness expressed in court were very beautiful and for a short while she thought they’d use their words. But then they decided against the idea. “That’s private, that’s sort of holy, even though it was in the newspaper, so we said no,” Victoria said. Music had a purpose … and that purpose was some sort of emotional evolution, moving you to a higher emotional plane and creating more compassion. Then one morning Robert woke up and started writing the music. He figured out what they could do and he talked Victoria into it. “It’s very interesting sometimes when you sort of reject a project, your mind kind of relaxes and another part of your brain, the part that isn’t so analytical, kind of kicks in,” Robert said. He decided to create an old fashion spiritual that’s about forgiveness and flying up to heaven. “In other words, not to create an abstraction, but sort of create a certain emotional neutrality from that thing [the tragedy] itself,” Robert said. “It was creating the space and the kind of prayer that you would pray in order to be able to forgive,” Victoria said. Victoria said their challenge was to write simple and clear text, the way spirituals are incredibly clear theologically, while not being corny or using the situation. In writing the music Robert was very aware that the cathedral has an eight and a half second reverberation time, which is not the case in most churches. “It’s really designed for St. John the Divine,” Victoria said. Within two and a half months they completed the 8 minutes of music and performed the world premiere at “The New Year’s Eve Concert for Peace,” a concert, which has become a tradition since it was founded in 1984 by the late composer and conductor, Leonard Bernstein. “This is also in the tradition of Bernstein who really believed that music had a purpose, it wasn’t just an abstraction—and that purpose was some sort of emotional evolution, moving you to a higher emotional plane and creating more compassion and all of those good things,” Robert said. “When something is truly inspired and positive, something happens in the music that is beyond what we humans beings actually create,” Victoria said. “In their honor tonight you are about to hear something that you have never heard before,” Smith said. Pittman was teary eyed as she sang. 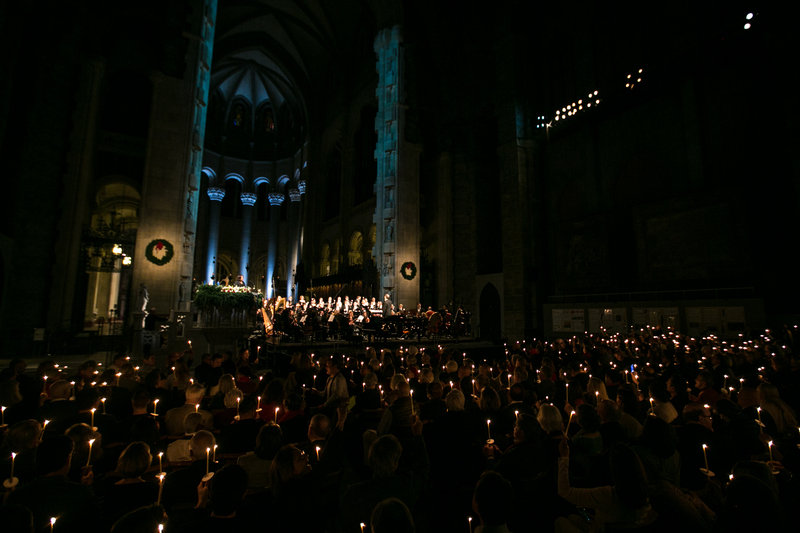 The riveting piece reverberated throughout the cathedral and seemed to awaken everybody’s good will. The piece then transitioned to an upbeat spiritual, chancel piano-type section, one could easily sing along to. Then all of a sudden everyone was brought back to the present moment in church. Although it is only 8 minutes long, the piece is almost like a little opera about tragedy, grief, redemption, love, and forgiveness. Before the performance the Sirotas had no idea how it would be received, but they were clear about what inspired them—the strength of forgiveness and how it reverberates. “It’s the people who came out a couple of days after this terrible thing and somehow tried to confront it, and go on by using the language of forgiveness. Those are the people who really showed us,” Robert said. After the performance Victoria felt overwhelmed. “It was amazing! When the chorus repeated the spiritual and the orchestral music swelled, it was as if we were all swept up in a prayer for peace,” she said. “This Is New York” is a feature series that delves into the lives of inspiring individuals in New York City. See all our TINYs here: epochtim.es/TINY or follow @milenefernandez on Twitter. Research shows that the brain changes in response to musical intervention.